Stevens claims to be the creator of a binary options trading system called Guaranteed Money System that allegedly will make you a millionaire within one month. Stevens says that if the system fails for you, she will pay you $500,000 out of her pocket. So that’s it, you can become very rich quickly and for free. Life is simple, isn’t it? We can clearly see why scammers chose Stevens for their video, but the fact is that she is just an actress playing the main role in a scam. 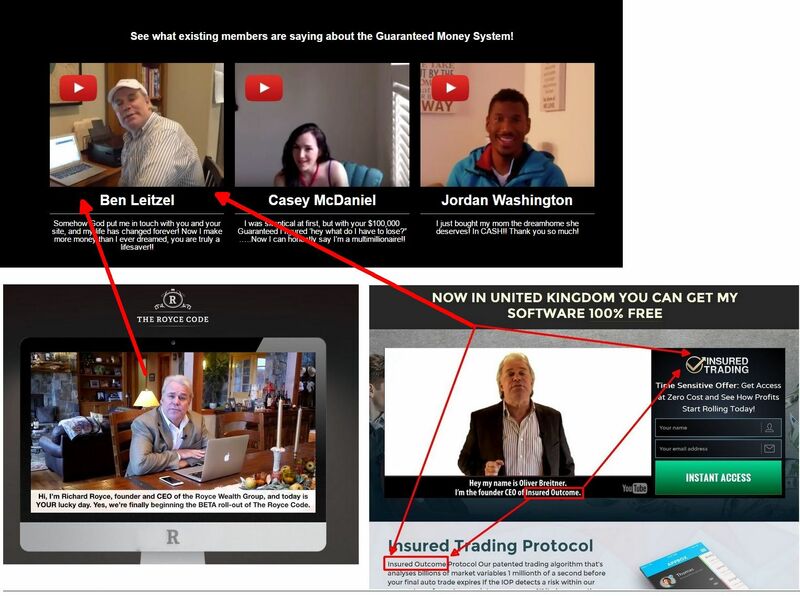 This scam is designed to take your money and lose it in trading with a crappy software. One of the staple things of the Guaranteed Money System is the guarantee that you will make money with the system, or Stevens will pay you from her own pocket. The guarantee is certified by a Joshua Goldberg from Goldberg Cohen & Associates – Attorneys at Law. The problem is that this is a fake company that does not exist. And the role of Goldberg is played by an actor. Look at the picture to see a proof. 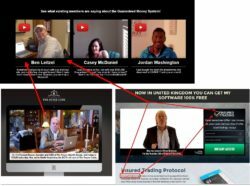 On the Guaranteed Money System website you will find several testimonials with people endorsing this system. But they are all fake – made with paid actors. Look at the picture on the right and you will see a proof. This man who pretends to be a happy user of the Guaranteed Money System played the main role in the Royce Code scam for example. He is a professional scammer. We have also tested the Guaranteed Money System software that is supposed to trade binary options for you and make you money. But we immediately recognized an app that has been developed by scammers. 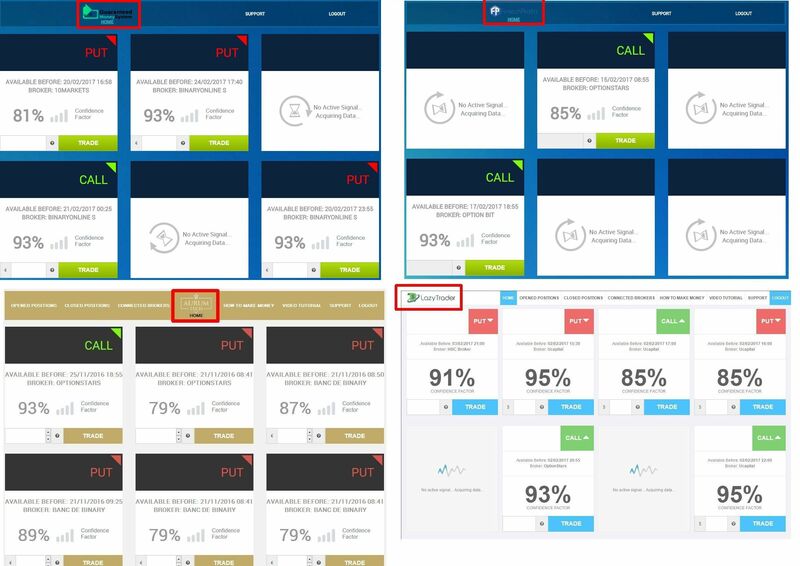 It is used only by scammers, look at the picture to see some other scams based on the same software, like Lazy Trader App, Fintech Profits and Aurum Tech. 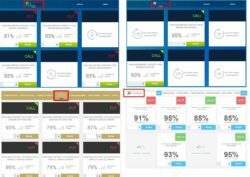 We get a lot of feedback about this app from real users and we know that it is losing money in trading! So now you ask why scammers are doing all this? It is simple, they are paid by a certain broker for referring new depositing traders. So they made up this whole story just to make you deposit money with their broker, so that they earn their affiliate commission. That’s it. And we repeat that if you do it and let their software trade with your money, you will lose it! Guaranteed Money System is a pure scam that is trying to fool you, take your money and lose it. Stay away from it! If you want to see how money is really being made in binary options trading, try a free demo account with a regulated broker. You can use it to learn everything that is needed. Only when you are profitable on the demo, you can start trading live with real money. but they continue sending scam emails day after day, even if you unsubscribe every time from their service. how to stop them sending their emails ? Hi, try to create some filters on your e-mail account.